DOOM free Update 2 is now available to all players. The latest DOOM update 2 comes with bug fixes and improvements and also features two new multiplayer modes Exodus and Sector. The update 2 also brings new features for SnapMap, new modules, and a new demon. Exodus Multiplayer Mode is new capture the flag mode with constantly moving bases and flags. Sector Multiplayer Mode is The objective-based capture-and-hold mode where players hold zones to win points. SnapMap updates include customizable weapon wheel functionality, jump pads with logic to set distance, speed, and direction. DOOM update 2 will also include 30 brand-new Hell-themed modules. The Mancubus – a new playable demon. Double XP weekend to celebrate QuakeCon. Unto the Evil DLC will be released on 5th August. Unto the Evil DLC is the new premium DLC by ID software. Three new multiplayer maps: Offering, Cataclysm, and Ritual. A new player controlled demon: Harvester. A new weapon UAC EMG Pistol. New ways to customize your DOOM Marine, including additional armor sets, patterns, colors, and taunts. Last month ID Software had released Update 1. 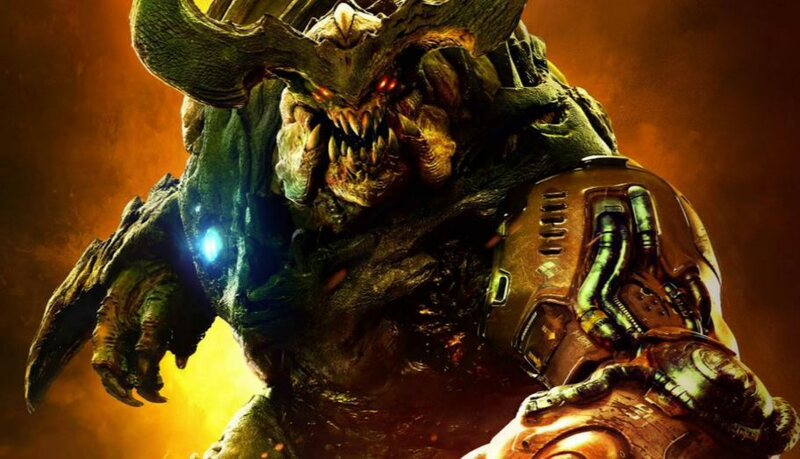 DOOM game is available on PC, PlayStation 4 and Xbox One.